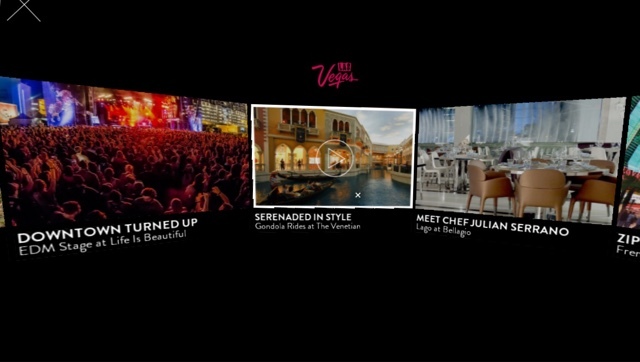 You can take a 360-degree video tour of Las Vegas on the Vegas VR app. 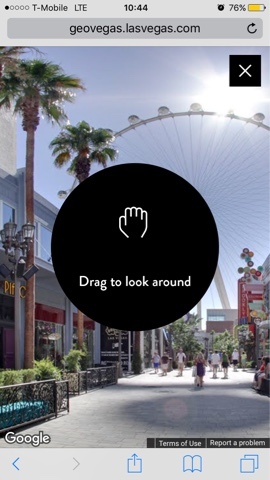 Produced by the Las Vegas Convention and Visitors Authority, the app provides 360 videos of famous Las Vegas sights including the gondolas at the Venetian, and a helicopter flyover over the Strip. The LVCVA also has a site with some 360 and non-360 photos and videos called GeoVegas. ZOMG! Ricoh FINALLY adds self-timer to Theta!! !